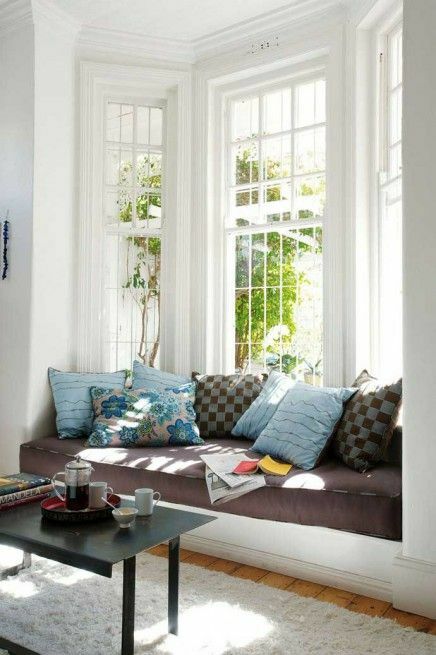 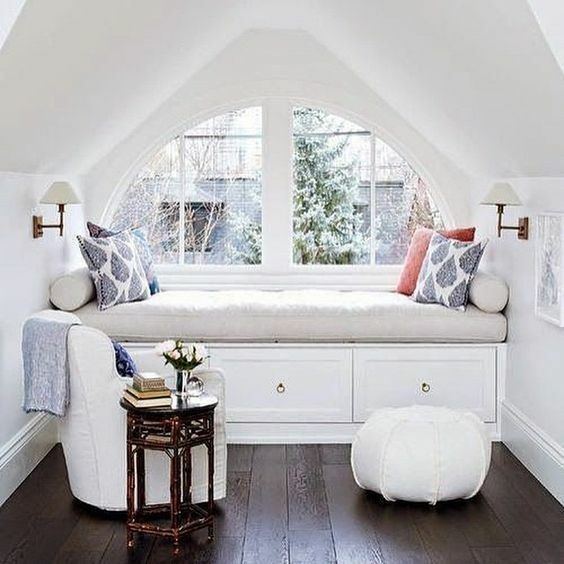 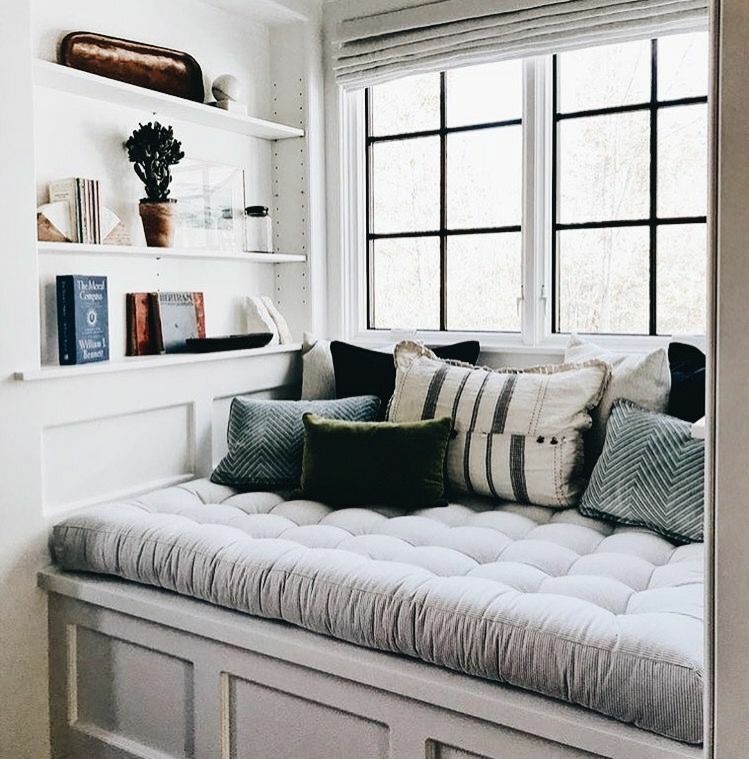 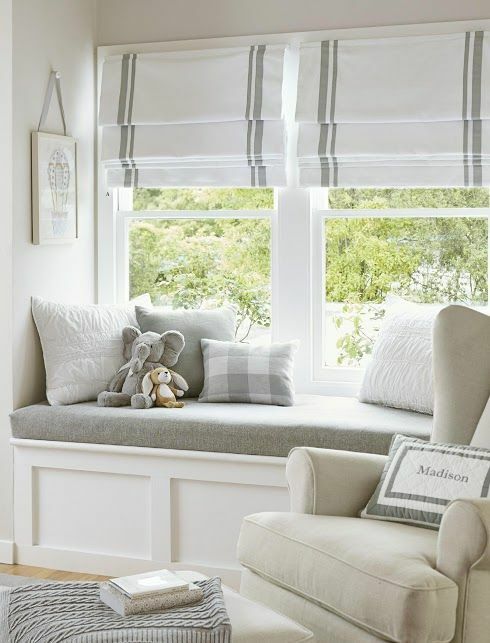 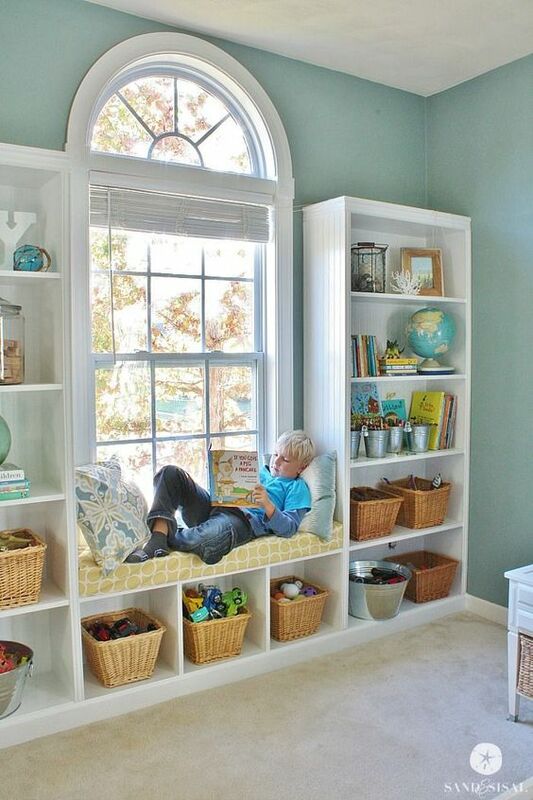 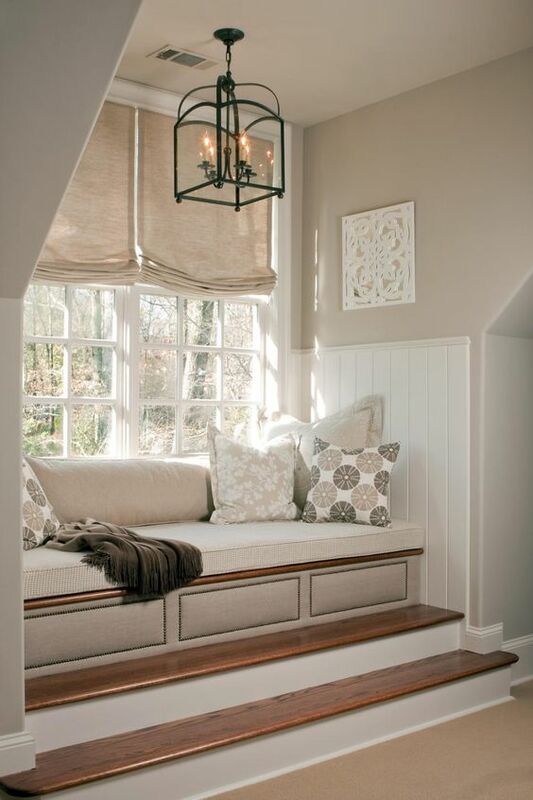 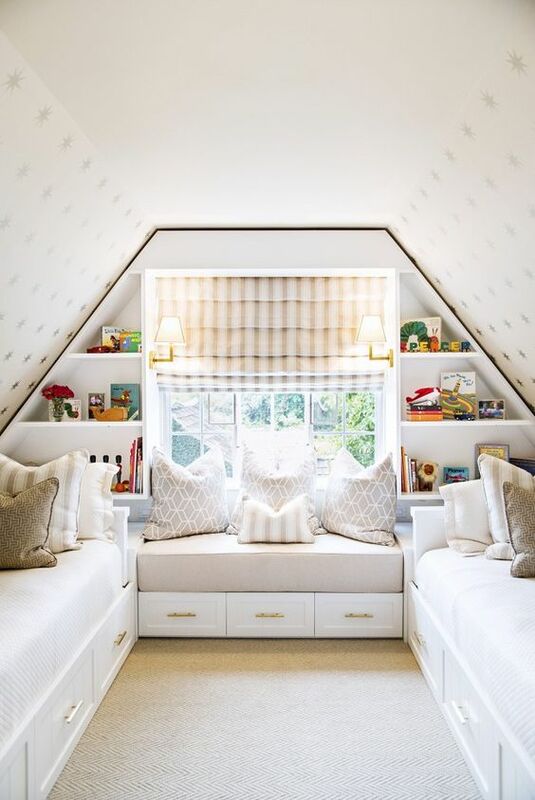 I absolutely love window seats – I think they can add such beauty and character to a room. 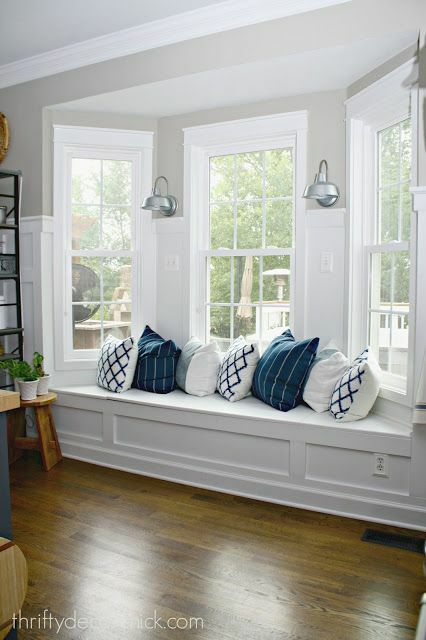 We are lucky enough to have a window seat in our kitchen – through a lot of persuasion my end, and even though I was told we didn’t really have the space for it, I am so so glad we went for it. 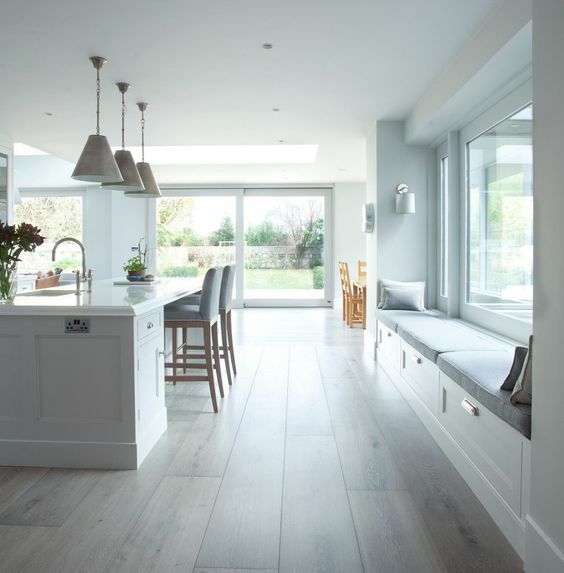 It is my favourite feature of our kitchen. 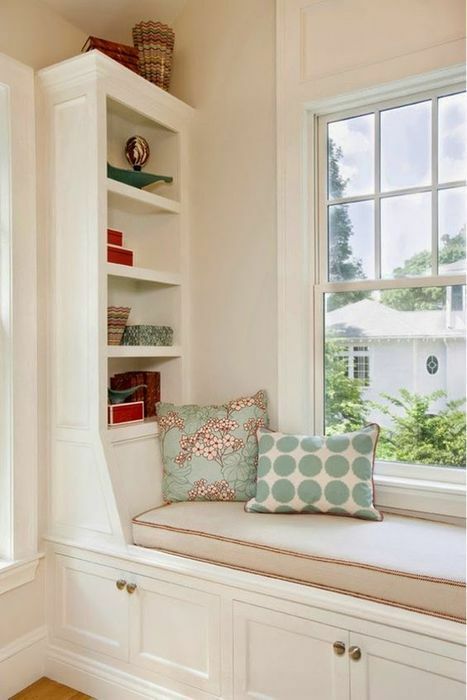 I am now looking at ideas for it, in terms of upholstery. 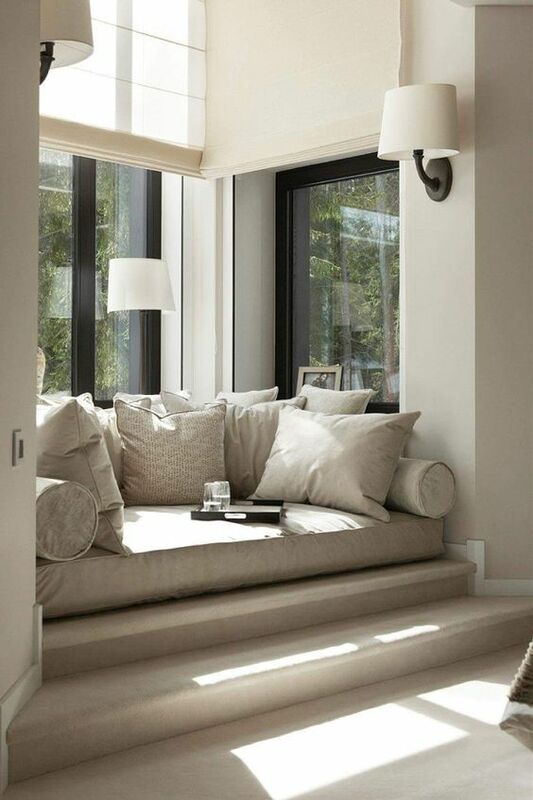 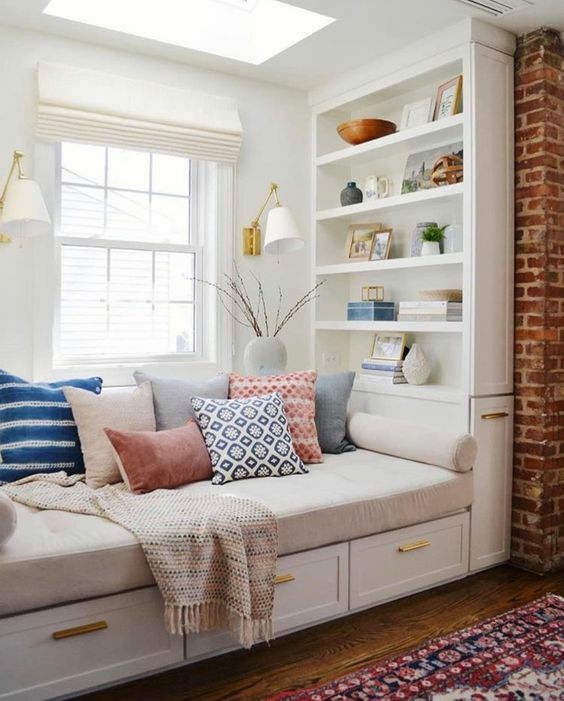 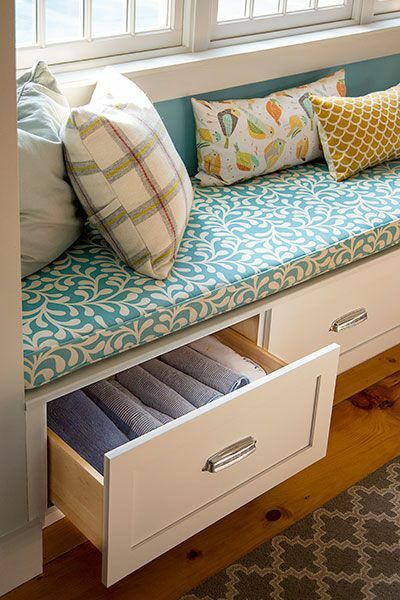 I think it is a good idea to go for a solid colour base in a durable fabric and then you can bring in colour with scattered cushions, I like that you can update it easily and inexpensively too through cushions.